Channel Islands based OneWeb, with its proposed constellation of satellites intended to provide global internet broadband service to individual consumers, will begin as a business-to-business internet provider, then use the revenue and infrastructure developed to move into under-served rural and consumer markets worldwide. 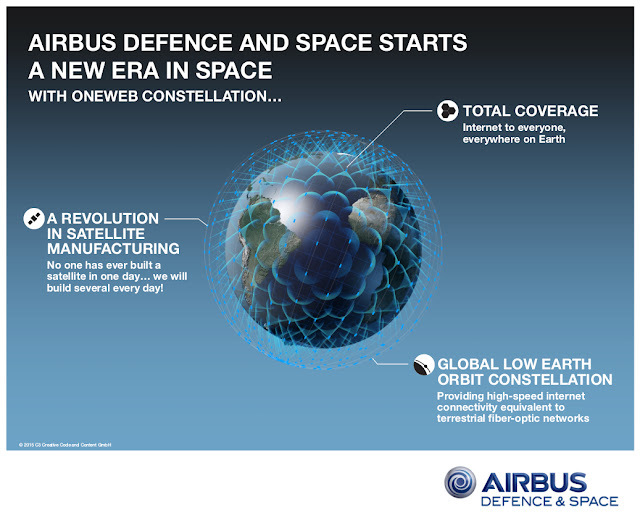 Graphic highlighting the main talking points of the OneWeb satellite constellation. 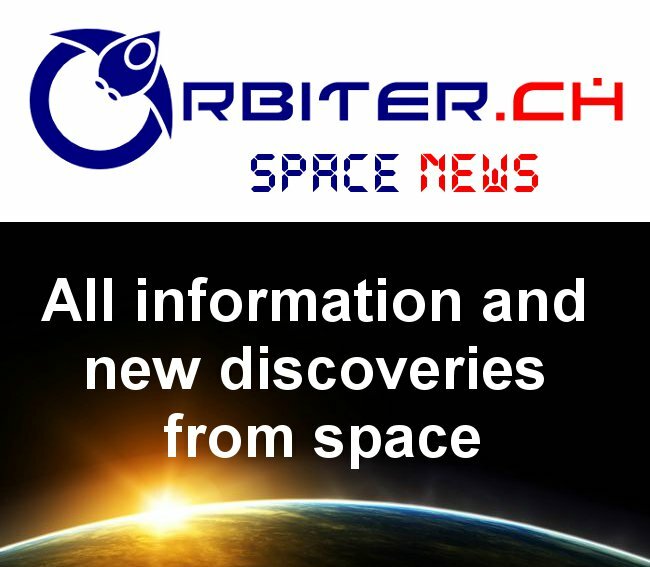 According to the plan, 640 communication satellites will operate in low Earth orbit to receive and re-transmit internet data , initially to various commercial ground stations, but eventually to anyone with a receiver. As outlined in the April 18th, 2016 post, "We Won't Have Dan Friedmann to Kick Around Anymore!" OneWeb has partnered with Airbus and others to manufacture the satellites in Florida. Graphic c/o Airbus. 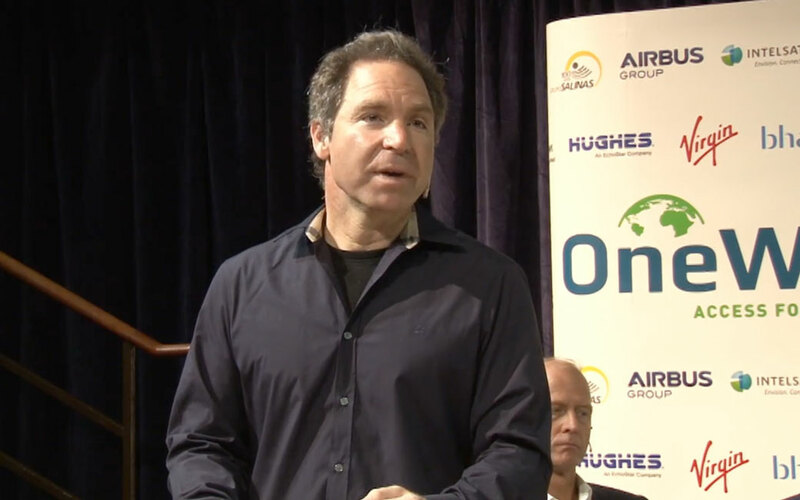 At least that's the plan outlined by OneWeb CEO Matt O'Connell last week when OneWeb submitted its license application to US regulators. It's a process which, as outlined in the April 28th, 2016 Space News article, "OneWeb to debut as B2B broadband wholesaler before serving world’s poorest," will likely result in "a multi-year slog through the world’s capitals as the company seeks global operating rights." All of which should provide a little context to the April 25th, 2016 public meeting at Canadian Radio-Television and Telecommunications Commission (CRTC) headquarters in Gatineau, PQ., with OneWeb founder Greg Wyler, his daughter, OneWeb policy director Marc Dupuis, MacDonald Dettwiler (MDA) Information System Goup CEO Don Osborne, MDA director of government and public affairs Leslie Swartman and various CRTC representatives. OneWeb founder Wyler. Photo c/o Space News. The OneWeb presentation was part of a series held over the last month on extending broadband access to Canada's remote communities, developing metrics to judge the success of any new initiative and figuring out how to pay for the roll-out of new services. As outlined in the April 8th, 2016 Globe and Mail article, "Is high-speed Internet a basic right? CRTC to weigh in," the CRTC "has already collected hundreds of written submissions over multiple rounds of questioning and 90 individuals, academics, advocacy and lobby groups, municipalities and telecom companies are scheduled to appear at the three-week hearing," which began on April 10th. According to the article, 96 per cent of Canadian households had access to high speed internet by the end of 2014 and that number is slowly rising. However, its expected that approximately 300,000 Canadian households (or 2% of the total) will still lack high-speed internet access in 2017 and these are the potential customers Wyler intends to target. ... while many of Canada's large Internet providers are likely wary about the prospect of increased regulation, dozens of intervenors are urging the CRTC to take dramatic steps in support of the "world-class communications system" it envisages in consultation documents. And OneWeb CEO Wyler could certainly be described as an "intervenor," He's advocating new satellite technologies to replace the existing fibre connectivity and offering up low pricing (at five bucks a month with a $200 CDN connection fee) to provide basic service for homes and Canadian communities which are currently "off the grid." To learn more, check out the CRTC transcript of the Wyler presentation, under the title, "Introductory Remarks By OneWeb Founder and Chairman Greg Wyler to the CRTC (25April2016)." It's available online on the CRTC website. The full presentation, including questions from CRTC representatives is also available on the CPAC channel April 25th, 2016 CRTC review of basic telecommunications services, beginning just after the 57 minute mark. Just don't expect this universe to change overnight. It's one where technological advancement is far too heavily dependent on telecom lawyers, bureaucrats and politicians to do anything more than move forward in slow fits and starts.